Scenario: The sales team wins an order for several mechanical assemblies for a new customer. Promised delivery dates are somewhat close to the wire and the pressure to deliver is now immediately placed on the engineering design teams. The sales team is celebrating their win and the design team is burning the midnight oil working out how they’re going to fulfil the sales promises made. This is not untypical with designers looking at their sales colleagues with horror. The earth has been promised and now the company has to deliver on those promises. The design office swings into action and starts to generate concepts and drawings based on mechanical know how and experience but when it comes to mechanical items they may not be so used to on a regular basis what happens? Human nature dictates a path of least resistance no matter what the experience, especially when under intense pressure. When it comes to bearing selection, often industrial bearing types are initially selected because technical data is readily available on or offline and there may also be a degree of previous familiarity from designers who may have come from an industrially based background. 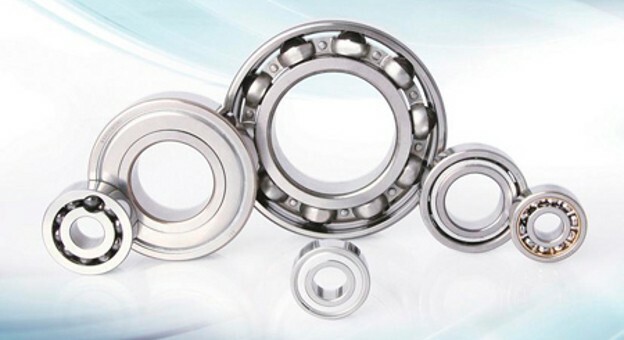 Whilst these bearings will work perfectly on a form fit and function basis, the fact that they are not batch traceable products often gets dropped and/or overlooked. The internal geometries are not specified and do not form part of the design review. The alarm bells only ring when procurement has to place orders for prototypes whilst up against a tight deadline. The bad news lands back with the procurement office that only industrial products can be supplied in the required lead times. To have aerospace equivalents made is going to cause a major headache and potentially puts the whole project at risk. Often overlooked, Spectech have key access to specific aerospace bearing manufacturers and can make the link from industrial to aerospace equivalents for metric and inch sized deep groove and angular contact ball bearings which virtually mirror their industrial counterparts dimensionally. For many years Spectech have offered this product range – industrial sizes with aerospace standards.